"On the evening of September 4th 2005, Robert Farquharson, a separated husband, was driving his three sons home to their mother, Cindy, when his car left the road and plunged into a dam. The boys, aged ten, seven and two, all drowned. Was this an act of revenge or a tragic accident? 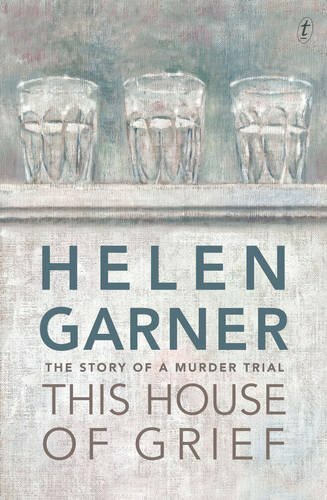 In a tale reminiscent of In Cold Blood (1966), Helen Garner decided to reveal every aspect of this complicated and highly emotional case.In this utterly compelling book, Helen Garner tells the story of a man with a broken life and bears witness to an often uncomfortable truth." This was my 'book of the year' for 2015. Helen Garner is one of Australia's finest writers and in this work she again gripped me - even though I knew the story and its outcome through extended newspaper coverage here in Melbourne. This book could be classified as 'True Crime' but in Garner's hands it becomes much more than that. I found myself totally engaged by her account of the trial of Robert Farquharson - and of the individuals involved in the case. At times I cringed; at others I laughed; and at other times I found myself close to tears. An extraordinary book about 'ordinary' people. This book is reserved for the BookObsessed Best of 2015 swap.. and I hope whoever 'wins' it finds it as compelling as I did. Thanks. It has been a long time since I last journalled a book here on Bookcrossing.